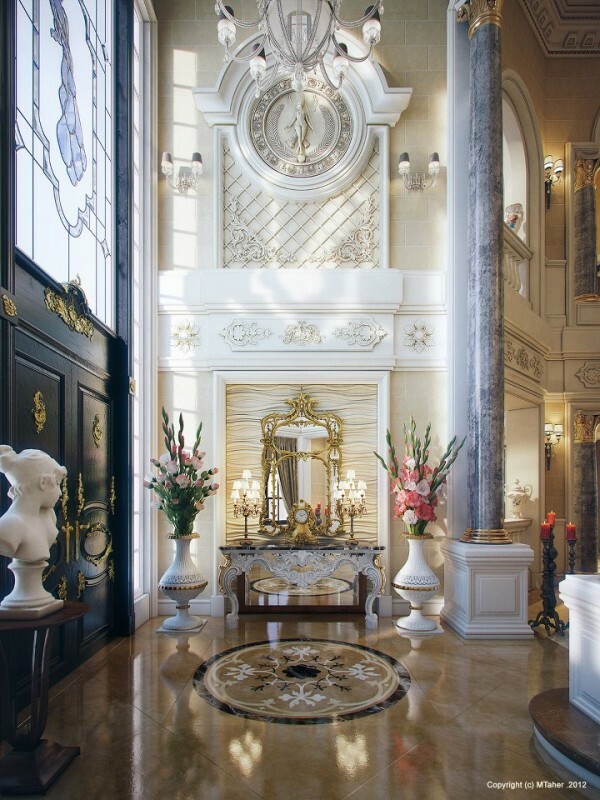 When looking at this opulent, breathtaking Villa, visualized by architect Muhammad Taher, it is nearly inconceivable that it could be located in Qatar, the once poorest among all the Arab states. 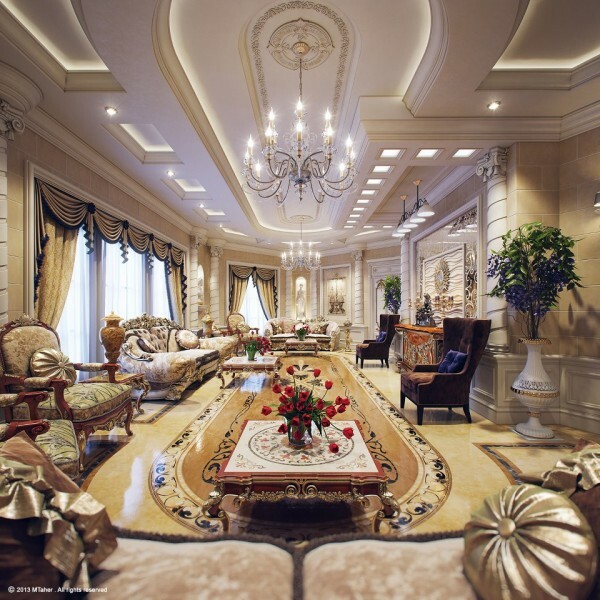 It stands as a testament to Qatar's now immense wealth and rise to be the richest among its fellow states. 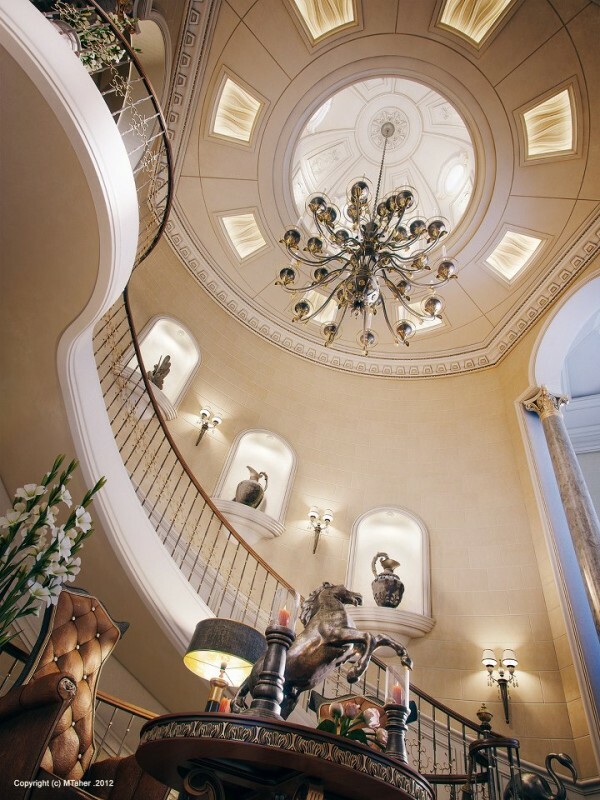 The Villa is accessed by way of the grand entry with its soaring domed ceiling and sensuously curving staircase. 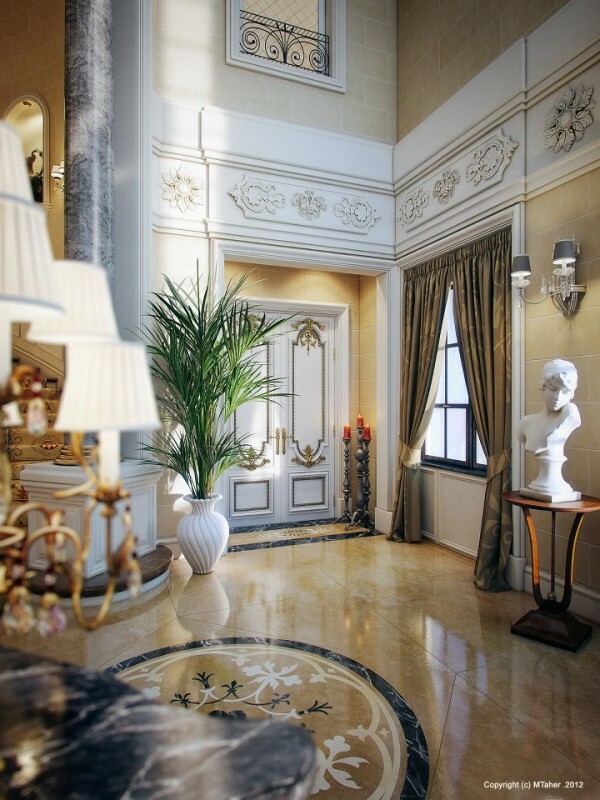 Just as in the entry, touches of gold can be found throughout the Villa on practically every surface conceivable. 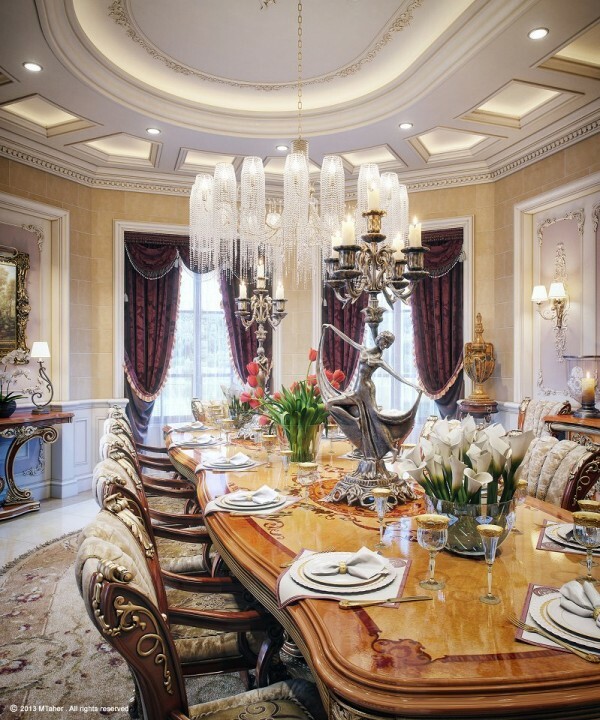 The richest of exotic woods and finest European fabrics grace each and every room. 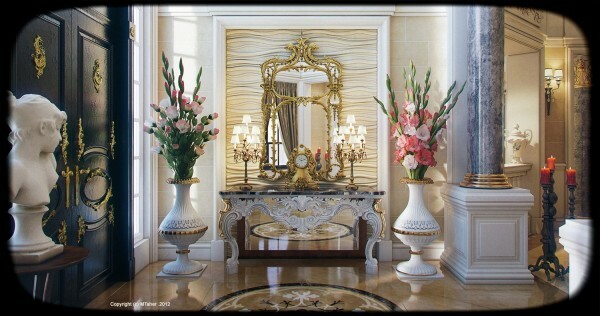 Â The Villa's fine art collections are vast as are the decorative wall friezes with their detailed carvings and decadent reliefs. 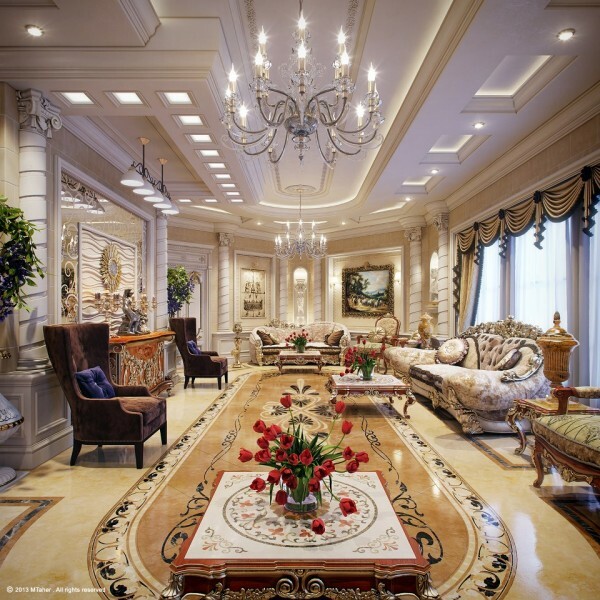 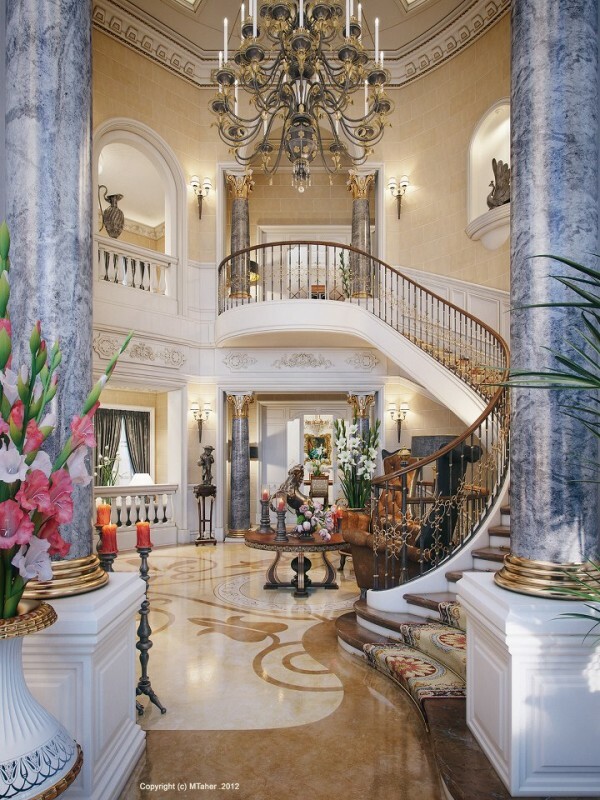 Get lost for a moment in this palace-worthy Villa fit for royalty. 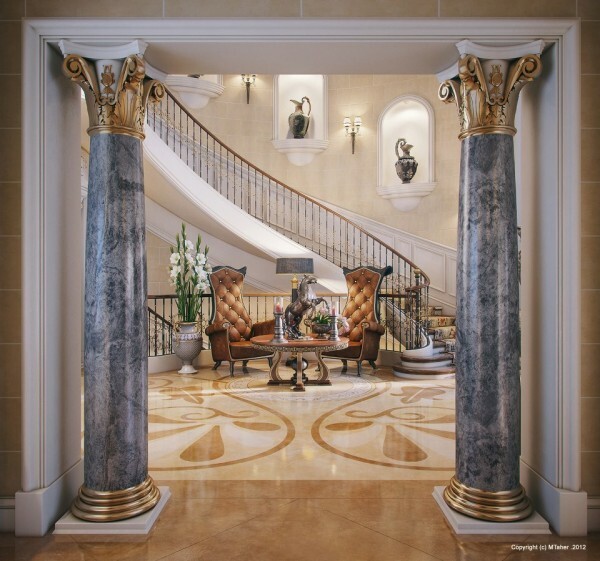 The Villa’s breathtaking entry is opulent beyond words with its soaring ceilings, decorative wall friezes, marble columns and gold accented finishes. 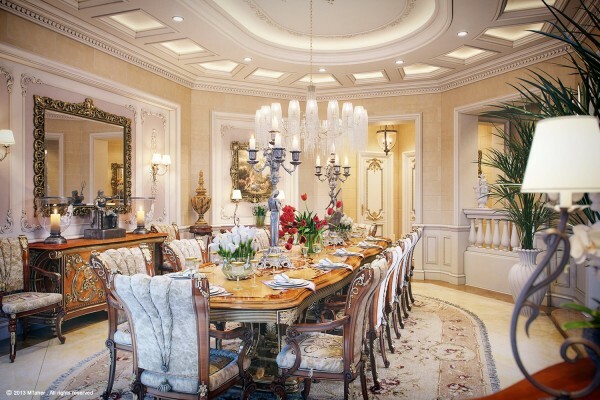 The Villa’s main dining room boasts an ornately carved and finished dining table surrounded by 12 plushly upholstered dining chairs covered in velvet. 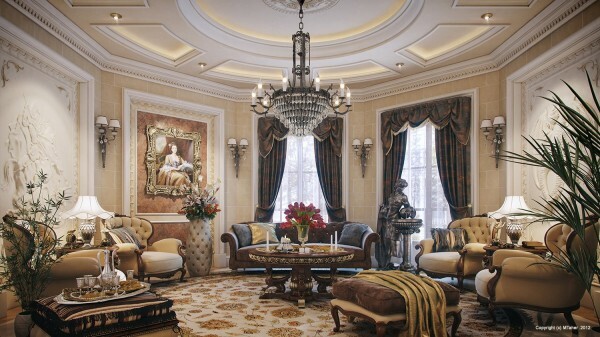 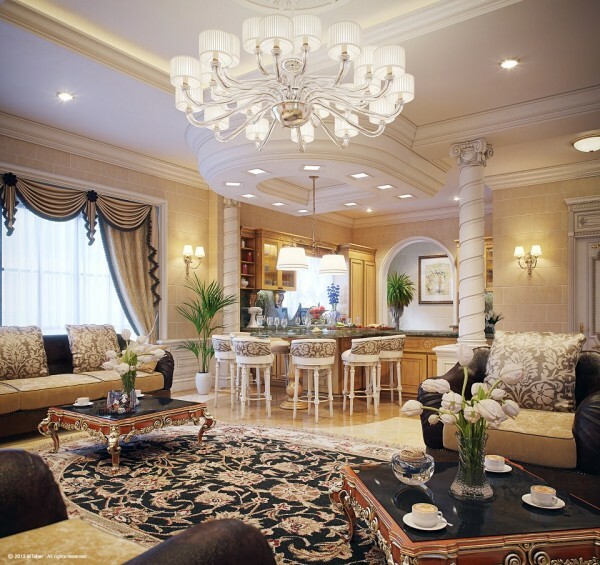 The grand parlour presents itself in the most formal of ways yet it seems quite inviting and warm. 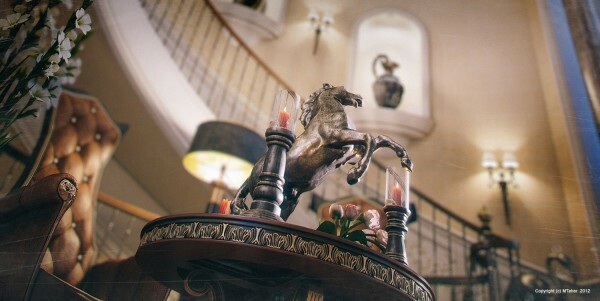 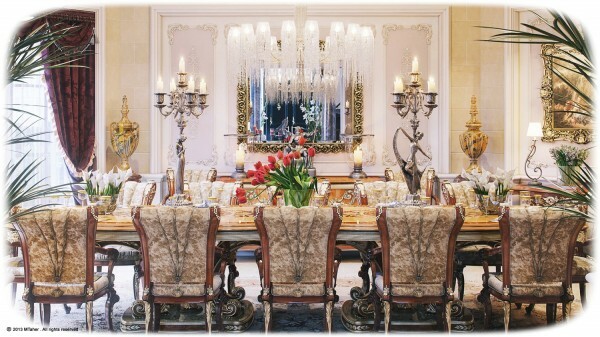 It is filled with a treasure trove of period and contemporary furnishings covered in the finest fabrics and finishes. 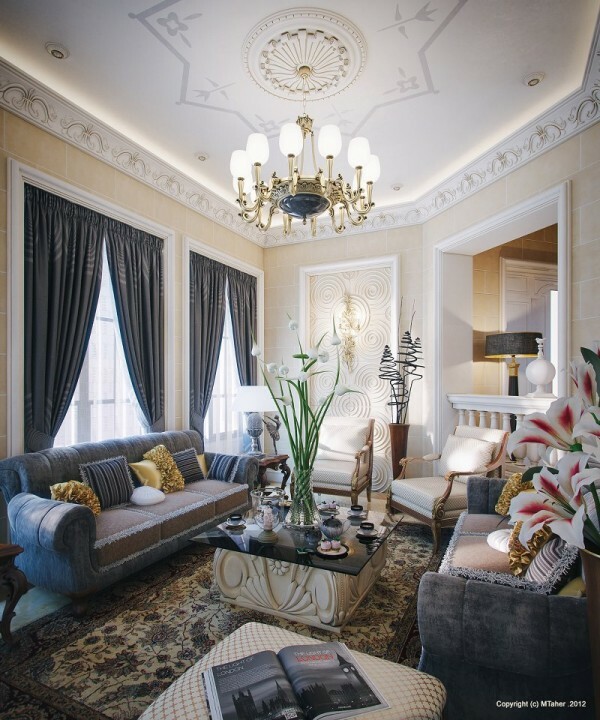 While the Villa’s lounge is luxuriously appointed it feels more causal than the other rooms with leather and suede club chairs, stone block walls and contemporary barstools. 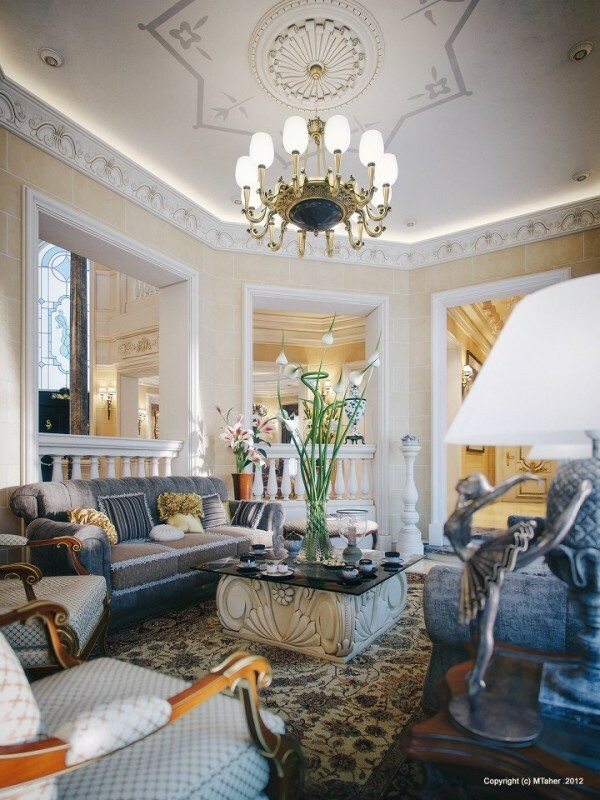 This view of the lounge recaptures some of the opulence found in the rest of the Villa. 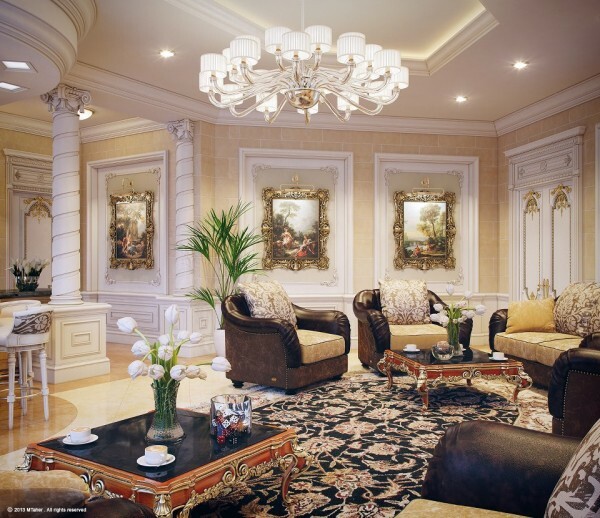 Period paintings in ornate gold frames are highlighted in decorative wall panels.